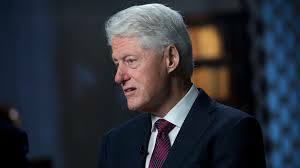 A former President of United States of America, Bill Clinton, is expected to visit Nigeria a day before the presidential election, The Punch has learnt. Diplomatic sources said Clinton is expected to return to his country the same day. This people need to stay out of our politics! So other presidential candidates don’t deserve his presence because they are not worthy to win!